Happy Monday, y'all! I hope you all had a great weekend! Last week was incredibly exhausting yet so much fun at the same time with summer camp and this week promises to be the same. If you are new here, I'll give you a brief introduction to who I am and what this blog is all about. 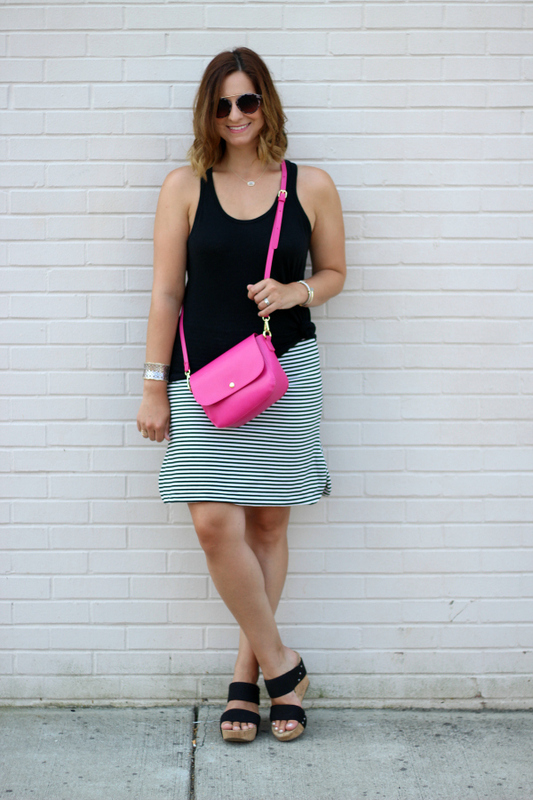 I'm a thirty-something, North Carolina based life and style blogger. I've been married to my husband Josh for nine years and we have two beautiful daughters, Julianna (7) and Olivia (5). I'm a former classroom teacher but for the past five years, I have worked at a non-profit afterschool enrichment program as the lead STEM teacher. My job is part-time (ish) so it leaves me with flexibility to pursue my passion for style on a budget with this blog. With Style & Grace has existed for over eight years but by other names and with much different content. I started this blog as a pregnancy journal but now it's my little spot on a the internet to share style inspiration and pieces of my life as a try to live it with style and grace. 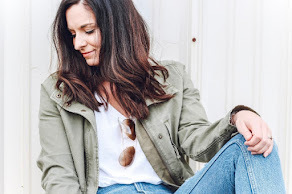 I give you that introduction to say that if you are all about comfortable, casual, practical, affordable yet put together style... then you are definitely at the right place! Today, I'm so excited to partner with Simple Addiction again to share that they are currently having their anniversary sale event, which means you can save even more on their already incredible prices (we are talking up to 80% off)! I've shared about how much I love their leggings (I'm simply addicted to them) here but they also have so many other great items that I also love! Such great basic pieces that you need in your wardrobe. In today's post, I'm styling the Exclusive Stripe Skirt and the Sidney Floral Top (which is almost sold out but I've linked some other pretty floral tops from Simple Addiction at the bottom of this post). 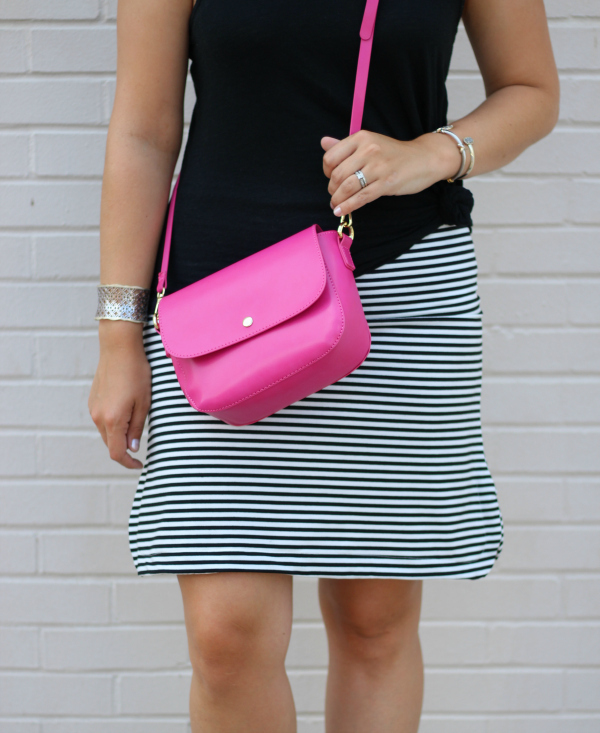 You just can't go wrong with a striped skirt or a floral top! Thank you so much for stopping by today! You can save 15% off at Simple Addiction with my code EMILY15 even when the anniversary sale is over. Have a great day, y'all! I've never heard of Simple Addiction but I'll check them out. Love the pieces you're wearing and that straw bag is so cute! OMG I love these 2 outfits! They look so comfortable! I need to check them out! These outfits are perfect. I especially love the straw bag. Such gorgeous summer outfits! 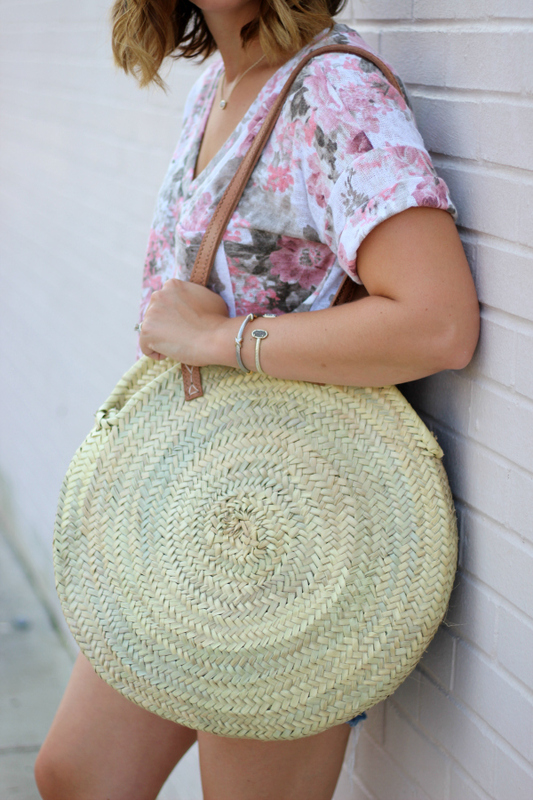 I love both of those bags, but that straw tote bag is perfect for summertime! 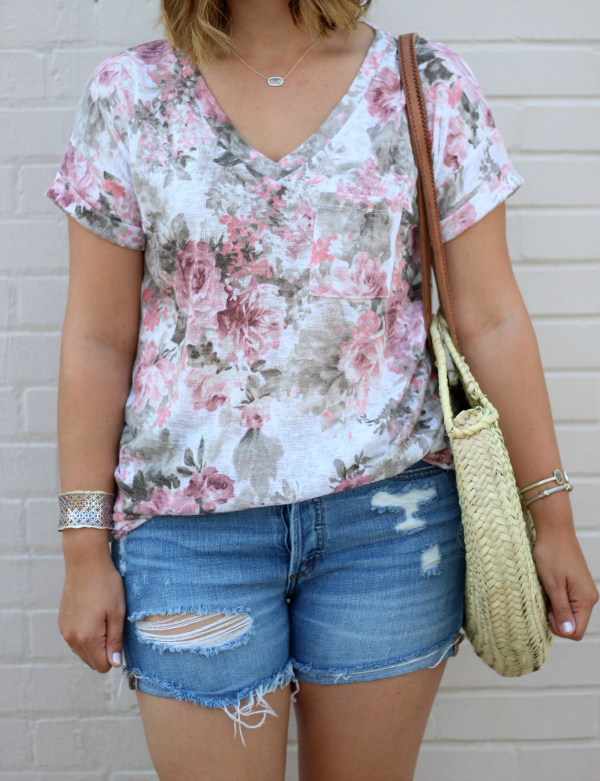 super love the two outfits on you but obsessed with the floral top!